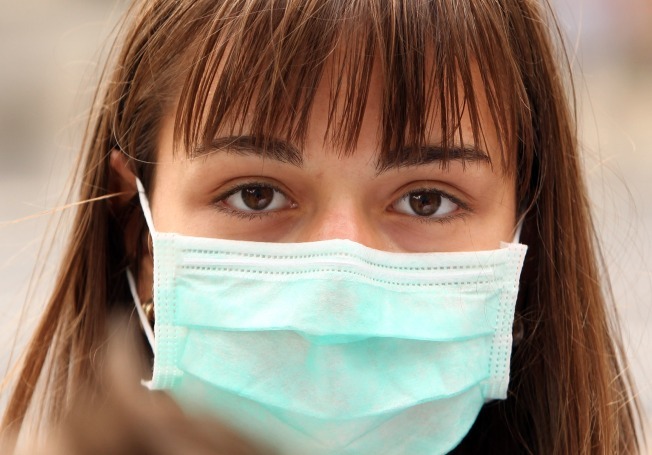 You'll have to take off the surgical mask to get the first vaccine against swine flu -- it will come in the form of a nasal spray. The first wave of swine flu vaccinations will come in the form of a nasal spray, the Centers for Disease Control and Prevention said. Some 3.4 million doses of MedImmune's needle-free nose spray, will be distributed in the first week of October, said CDC official Dr. Jay Butler. "Initially we anticipate that 3.4 million doses of vaccine will be available," Butler said. "We estimate that the amount of vaccine that will be available will increase through October." He said eventually delivery would rise to about 20 million doses a week. The U.S. has ordered 195 million doses of H1N1 swine flu vaccine from five companies, including MedImmune. The World Health Organization believes all 6.3 billion people in the world should get vaccinated against the strain of flu, which has killed 3,500 people and could emerge more virulent than ever in the coming months. But the WHO said Friday that global production is lagging and fewer than 4.9 billion doses will likely be available.